My time in India changed my life, before moving there, in the early 2000s I was a model / actress in LA, finding my way. From fitness to bikini babe gigs, with a world class education I wasn’t quite sure what I wanted to do. In short, I was booked on a movie in India and I stayed there for five years. Upon landing I was in awe with the Sari, the Indian women, and the dance. Everything about the beautiful people made me instantly love this country. Shortly thereafter I was working on Bollywood films, and adamantly studying classical Indian dance with one of the dance legends of the country. 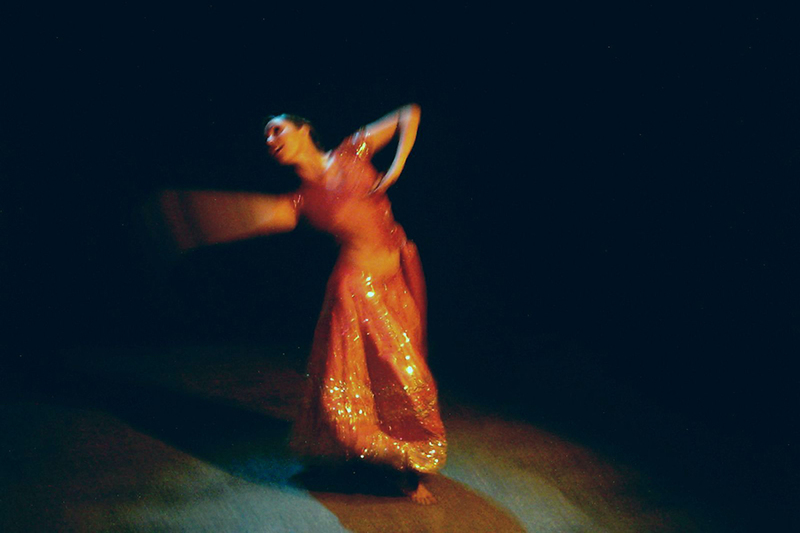 Out of all of my wonderful memories of India, my Kathak training is one of my fondest. My master would come every morning to my flat with his Tabla and beautiful smile, yearning to teach me everything he knew. My maid used to say that when we danced, the world shook. Being American by Birth but Indian by Heart and Values – A Role Model for Society. My time in India was a major inspiration in my life and my brand. Being in the public eye in India helped me embrace the importance of needing to feel comfortable with how I appear in the world. I started creating clothes that reflected my ethos as a performer, an entrepreneur, and a woman of the world doing her thing and being comfortable in the process. Working with the pattern masters on my appearances for the companies I was representing was big for me. I learned production in some of the best units in the world and got to work with amazing talent. India continues to have a huge place in my heart with friends who are like family and a country that showed me more love than I ever knew was possible. Please enjoy this beautiful article written by the most talented writers India has produced.